Okay, this is just freaky. 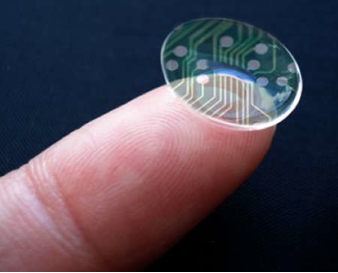 We know LED lights are versatile enough to be used for practically anything, but LED contact lenses? Really?! Yes, as it turns out, really. "University of Washington researchers have figured out how to implant semitransparent red and blue LED lights in contact lenses, for the purpose of receiving and displaying data in sharp visual images and video." This means wearers will literally be able to watch TV or view photos that are projected directly onto their eyeballs. Once miniature green LEDs are developed (and they’re in the works, as of now), full color displays will be possible. Once that happens, the possibilities are endless. 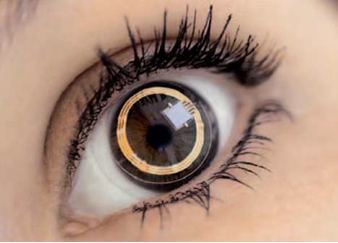 Think about everything your smart phone can do right now, and imagine the same being possible for your eyeball. This news is a little scary and a lot fascinating, if you ask me—at the very least, with LED contact lenses, your hands would be free to pet your robot or tinker with your hover board. Lead researcher Babak Parvis comments “You won’t necessarily have to shift your focus to see the image generated by the contact lens,” it would just appear in front of you and your view of the real world will be completely unobstructed when the display is turned off. Ah, the real world. With augmented reality becoming a reality, it feels like the real world is fast becoming a relic of the past.